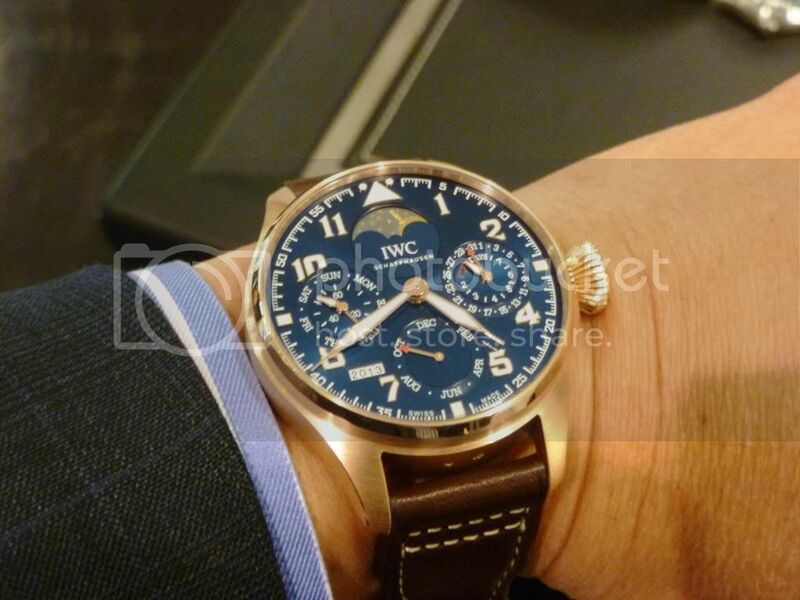 TimeZone : IWC » Another visit to the NYC Boutique! 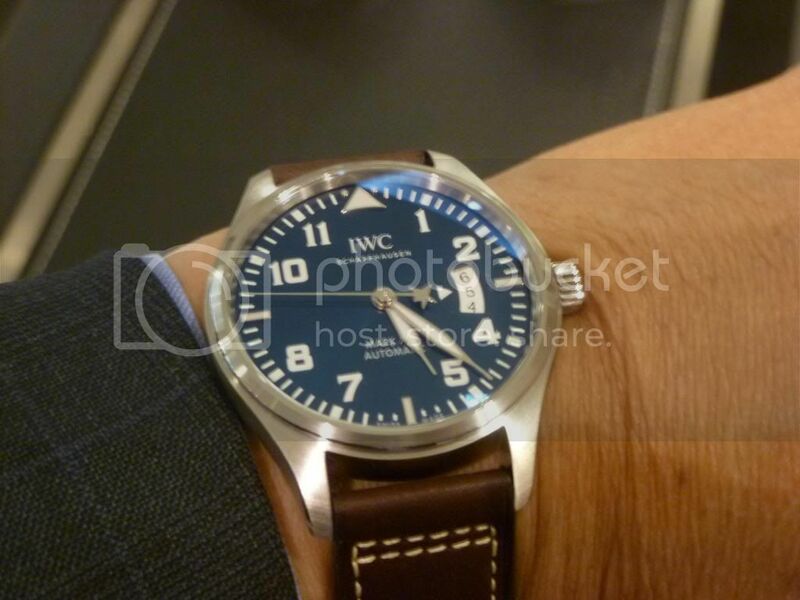 It's been a month since we last visited the IWC Boutique during Howard's Fall Watch Walk, so I thought it might be a good time to re-introduce myself to the folks there. 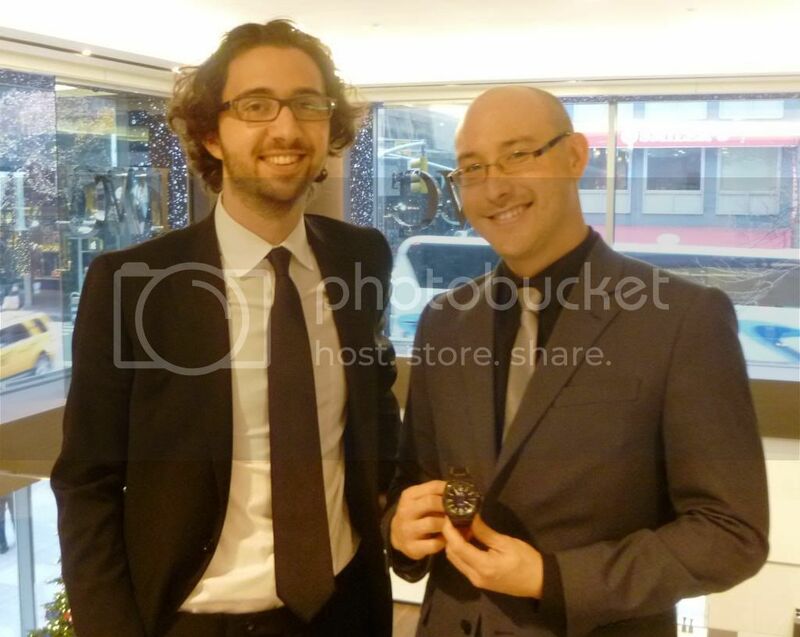 I had a chance to chat at length with Andrew, the manager of the Boutique as well as Andre and Robert. A more knowledgeable and personable crew, you will not find! 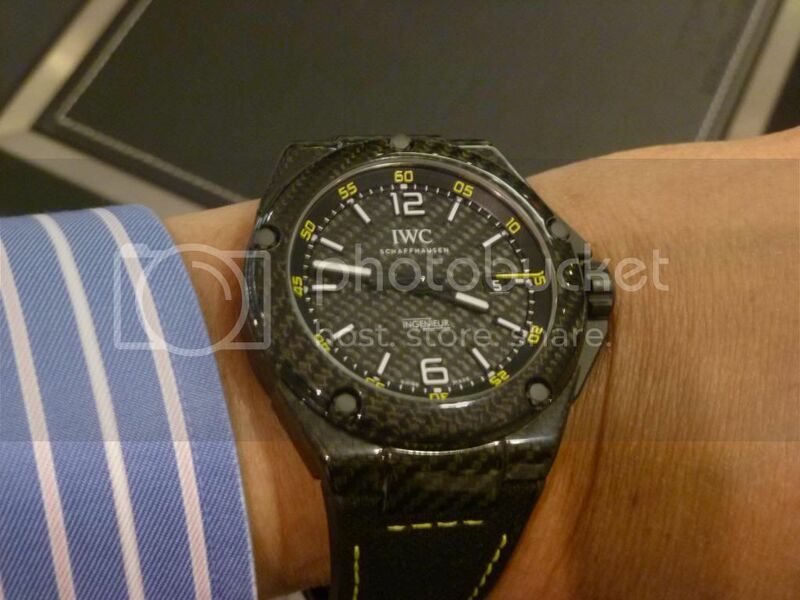 We started with something that was a first for me, the carbon fiber Ingenieur with yellow accents. Unbelievably light. 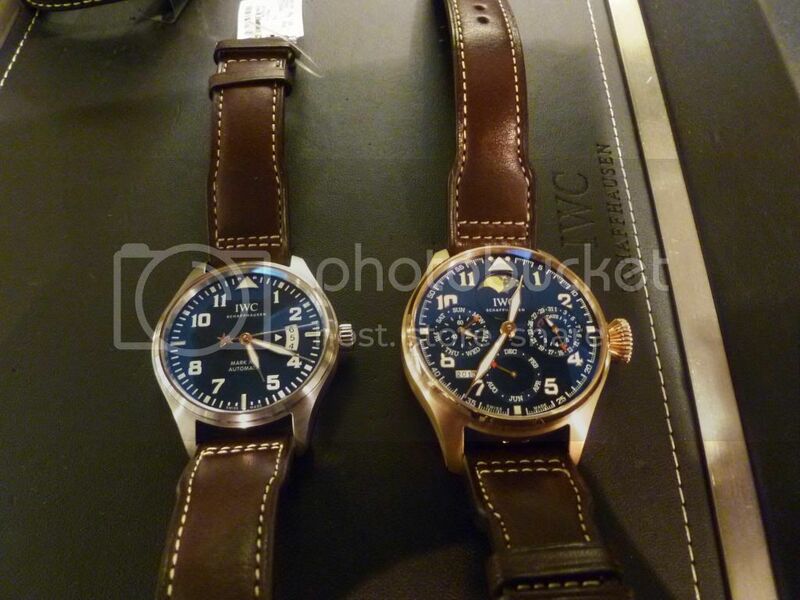 We then shifted gears to the Le Petit Prince limited editions. 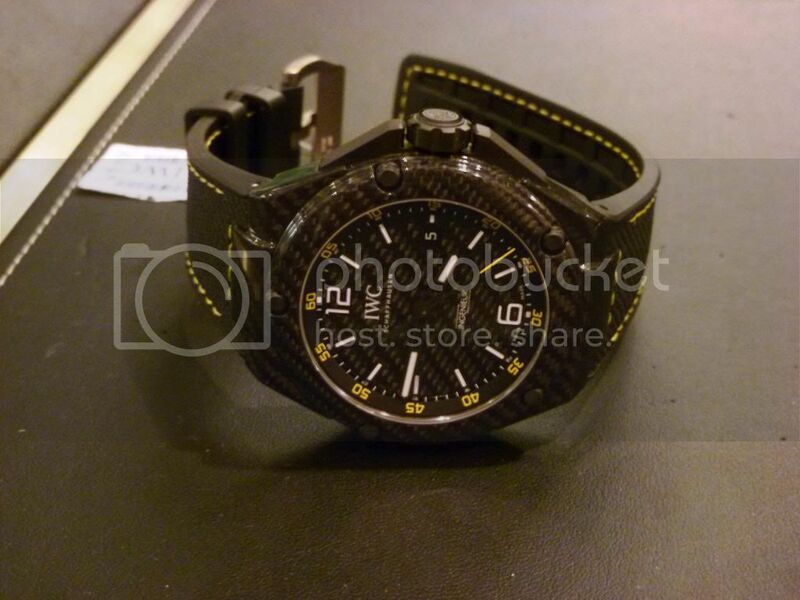 I saw the Mk XVII LPP during the Watch Walk but this was my first time with the Big Pilot Perpetual. Wow! Here they are, side by side. Still love the Mk XVII. You have to see the red gold in person; it will take your breath away. Thanks again for the time and hospitality, gents! And thanks to everyone for getting this far. More visits to come. In the meantime, hope everyone has a great holiday season!